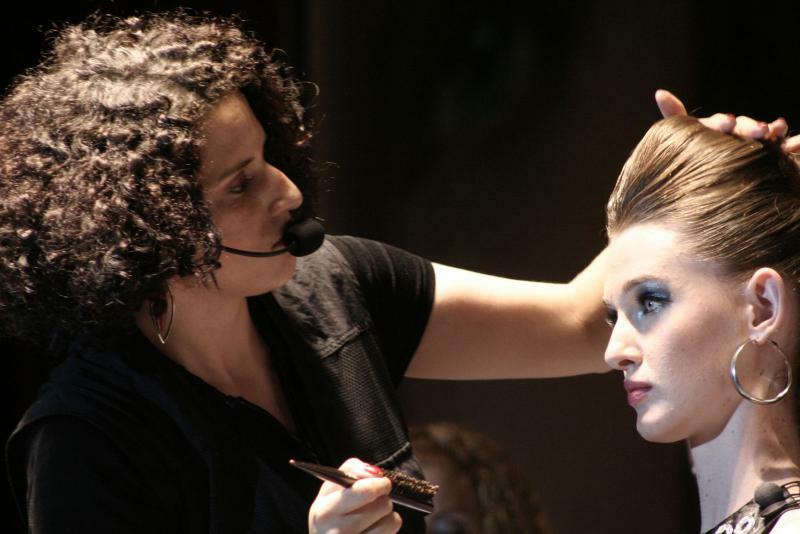 During the last day of Beauty Fair, the biggest professional beauty fair of Latin America, Karina França presented her workshop on hairstyle techniques about how to create one based on the concept of building image and style. “One must observe the costumer’s outfit, fashion style and the neck proportion. In the study of image production, if a person have a thin neck, for instance, it’s necessary to put volume in the lower base”, she says.